Since 2010, the Department of Zoology has held an Athena Swan Award. Athena SWAN Charter recognises and celebrates good employment practice for women working in science, engineering and technology (SET) in higher education and research. It aims to assist the recruitment, retention and progression of women in SET. For further information contact our Athena Swan Champions, Dr Theresa Burt de Perera or Professor Oliver Pybus. 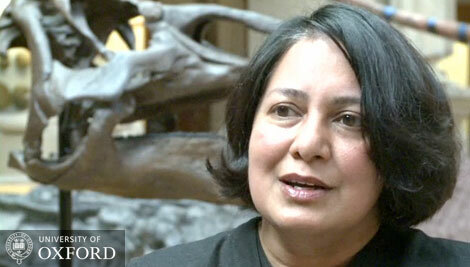 Professor Sunetra Gupta is featured in a video that celebrates women's roles at Oxford University, published to mark International Women's Day 2012. Paul Harvey, Sunetra Gupta and Stuart West receive our first Athena Swan Award, on behalf of the department, 16th September 2010.